A De Anza High School student on Tuesday was arrested on suspicion of bringing a gun to campus. The school was placed on lockdown and police took the 16-year-old into custody. Thom Jensen reports. A Contra Costa County high school student on Tuesday was arrested on suspicion of bringing a gun to campus, district officials said. A student at Richmond-based De Anza High School noticed a fellow student with a gun and reported it to an adult, according to Marcus Walton, a spokesman for the West Contra Costa Unified School District. In response, the school was placed on lockdown, Walton said. Students, who said they have always felt safe at De Anza, admitted to being scared on Tuesday as they hid under desks and monitored Snapchat for reports about a possible shooter on campus. "I was afraid," said Ibraheem K. "I thought he had a gun." The 15-year-old and some friends were about to go to lunch when the call came in. "They told the students to get under the desks and close everything. Close the lights and get the curtains down," Ibraheem said. Richmond police responded to the scene and the student was taken into custody without any problems, Walton said. Police said the gun was found near the 16-year-old suspect, not on him. 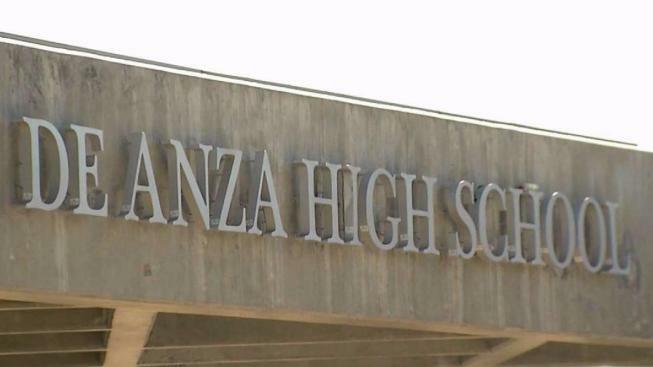 The student will be expelled from De Anza High, Walton said. Walton said Tuesday is the first time he can remember a student being arrested for possessing a firearm at school. "We've done a lot of work over the last few years, trying to create a culture where students feel safe," he said. And students said the district's efforts are paying off. In fact, many initially thought the lockdown was a drill because no one expected such an incident to unfold at their school.